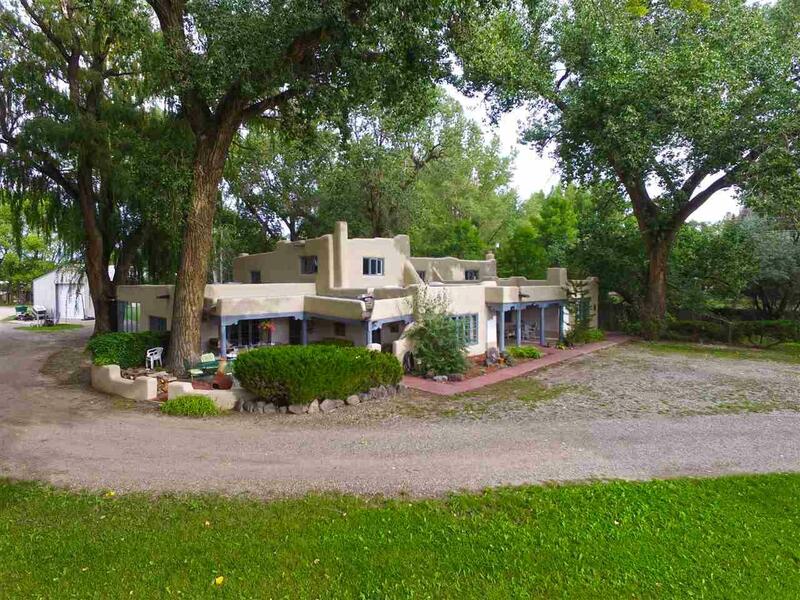 Once in a lifetime, rare opportunity to own a historically significant property so very close to the Taos Plaza with many stories to tell. 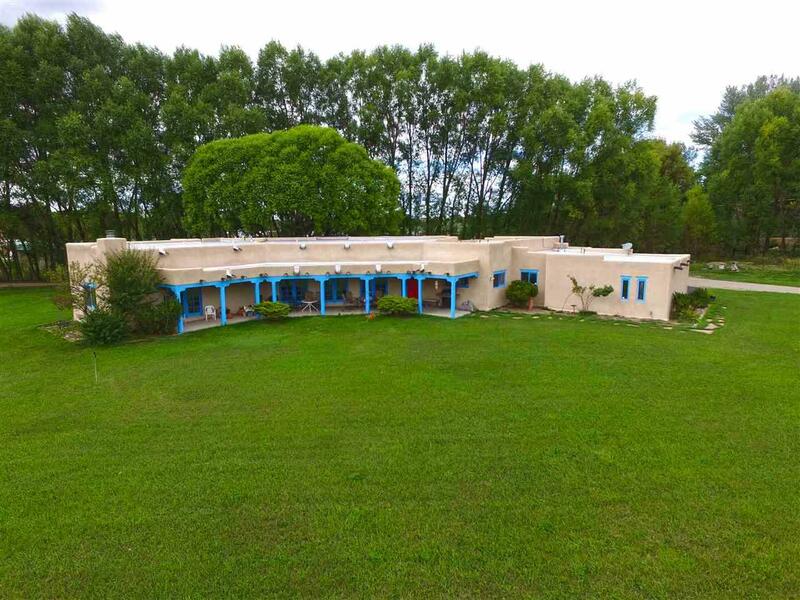 "Hacienda De Viernes" is a gated, peaceful & private, tree covered compound, home to 2 residences on 8 acres & zoned R4 allowing for future expansion & development. Originally built in the late 1800's the main home has been lovingly enhanced with great care for its structural & cultural integrity by the owners who have called it their home for over 40 years. The 5600 sq.ft., 4 bed/5 bath adobe main home has been designed as an entertainment retreat with a sprawling floor plan showcasing the many gathering spaces, intricate woodwork, luxurious tiles & countless custom features. The home boasts 6 indoor fireplaces, a luxurious Master Suite on the main level with a fireplace & an additional Master suite upstairs with a private sitting room, outdoor Patios & heated garage. The formal living & dining rooms are enhanced by over sized windows overlooking the views beyond. 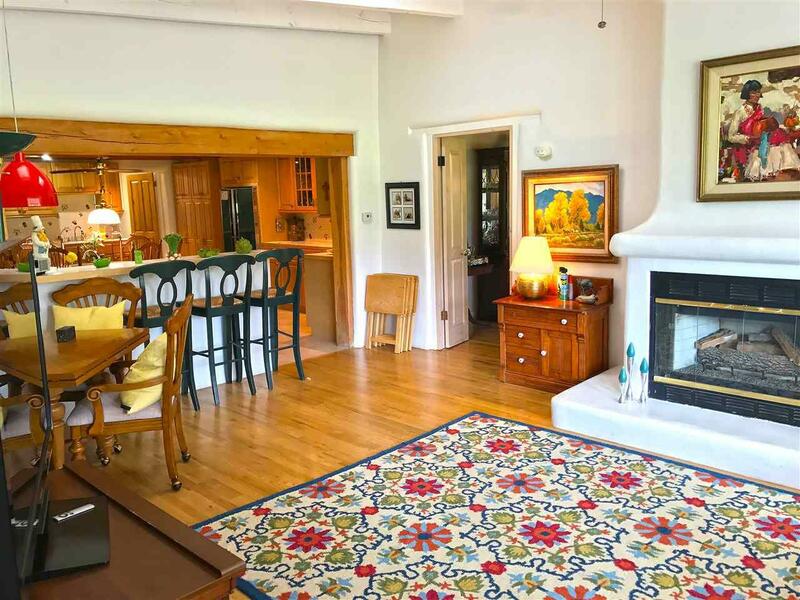 The charming 2,816 sq ft. pueblo-style Guest Home has 3 bed/2.5 baths with an open floor plan, tile floors, glass doors throughout & an 1862 heated garage/shop. This property would be ideal as an equestrian property, family retreat or potential Bed & Breakfast destination. The lush pastures are supported by an abundance of surface water rights, a natural spring & an irrigation ditch. 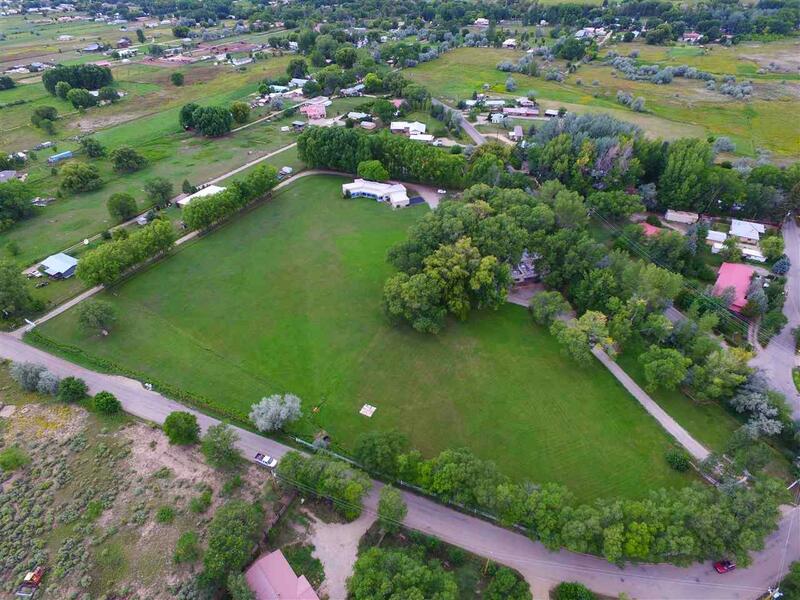 While the property is on City Water, two wells provide ample water & irrigation rights.